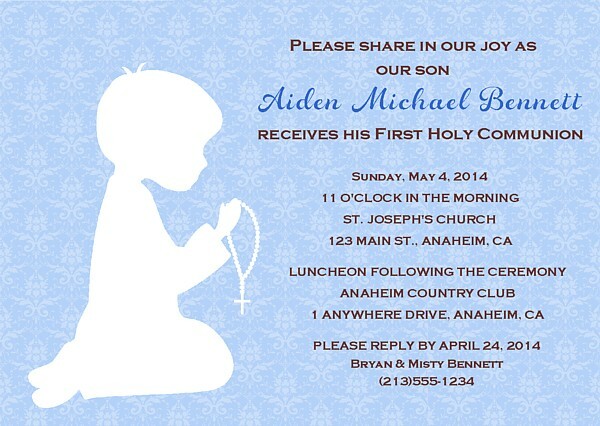 First Holy Communion Religious boy invitations in your choice of brown or white silhouette. These can be personalized however you'd like. They are printed using a high quality laser printer and the finished party invitations are affordable and of outstanding quality! 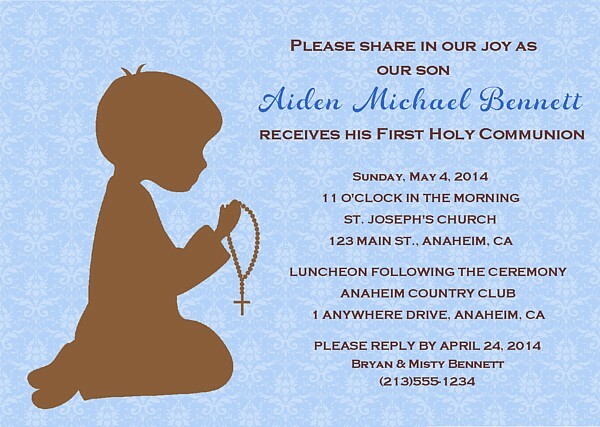 Please check out my store for other party invitations and more!